When grown-ups color, a whole new world is created. Yesterday I sat among a room full of coloring grown-ups. It’s our fifth year at Royal Family Kids Camp, and the preparation day always – ALWAYS – leaves me more than just a little choked up. Because grown-ups … Engineers, Doctors, Lawyers, Administrators, BIG IMPORTANT GROWN-UPS WITH BIG IMPORTANT JOBS … sit down to color a sign. A welcome sign. They always know the name of who they’ll be welcoming, but they don’t always know their face. Or their favorite color. Or whether they’ll get off the bus with a frown or a smile. But they color. And they guess. A little pink flower here, a little hand-drawn airplane there. And a name. And then comes the welcome. With colored sign in hand, an army of grown-ups prepares to meet a flood of 6-11 year olds. As each child steps off the bus, their name is called and their counselor for the week runs forward with their hand-drawn sign, welcoming them by name. Gets me every. Dang. Time. Because I know it’s a glimpse. A glimpse of a welcome we will receive someday when we leave this place for a new Somewhere. Be it an angel or an ancestor, someone will greet me by name, and maybe they’ll even have a sign with my name on it. Not so that they’ll recognize me, but so I’ll recognize them. And know that they’ve been prepared and waiting to celebrate the day I’d arrive. Now today is the day I’m celebrating arriving HERE in this life. 35 years ago today I met my Mom and Dad. They were ready for me, with a name and everything (thanks to my Mom’s favorite soap-opera). It’s hard to think of a better way to spend your birthday than with a hundred little faces yelling out a “happy birthday” across the camp from a zip-line or a swimming pool, and co-counselors offering sincere hugs telling you you’re special even as they run off to the next activity. To be honest, I really like a birthday that’s not all focused on me. It’s a lot less suffocating. Still, a little focus on me is a fun thing. And today I got it from a special source. I’ve written about her before. Amanda is the girl who came back, the girl who taught me big things, and now will be forever in my heart as my favorite-birthday-cake-preparer. Amanda rallied our cabin full of girls to create a “birthday cake” made of apples and drizzled in caramel. They carefully carved out letters from apple slices until they had H-A-P-P-Y B-I-R-T-H-D-A-Y, and then surprised me with it with a song at lunch time. Little did she know that caramel & apples are one of my favorite combinations. This girl – this feisty, fierce, and (this year) FRIENDLY – eleven-year-old has blessed my socks off. Again. And I’m convinced it all goes back to the coloring. To the grown-ups remembering what it’s like to be a kid, and then being as kid-ly as they can, so that the kids can SHINE in all their kid-dom. 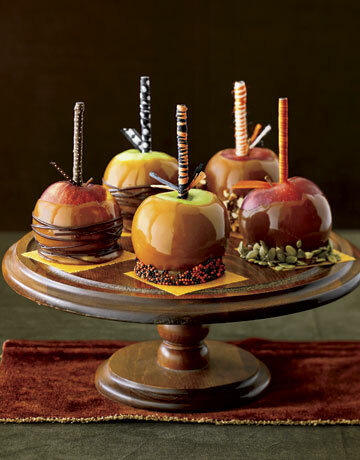 When grown-ups color, a “birthday cake” is carved out of apples and drizzled with caramel. Yum.